I received a great deal offer in my inbox this morning that I'd love to share with everyone. To save $200 on the Panasonic HDC-SD800K, use the promo code 3J552T3W at checkout. This offer only stands through July 23, so I'd act before time runs out. I am currently using the Panasonic HDC-SD600K, which is an absolutely awesome camera. 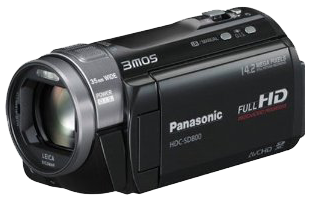 And for the record, Panasonic is my preferred choice for camcorders. You really cannot go wrong with them. Let me know if you use the discount code. I'm always happy to pass along deals, especially if they're technology-related. Perhaps I'll share more deals like this on my blog in the future. Is that something you would be interested in?